2XL Racing was released back in 2014 by 2XL Games for Android and iOS devices. 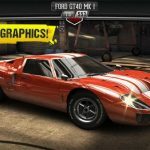 If you haven’t played the game before, but you’re a fan of games like CSR Racing and Nitro Nation Stories, then you’ll probably love this one as well. Like those games, all the cars available in the game are licensed – no fictional equivalents, just real cars with realistic performance, including vehicles from Audi, BMW, Chevrolet, Ford, Mercedes, and many others. 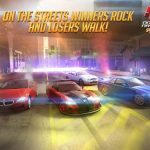 You can choose to race against friends and other human drivers in multiplayer mode, or you can take part in the game’s Street Wars, which is a story mode pitting you against AI drivers and taking more territory in the streets of L.A. as you win more races. 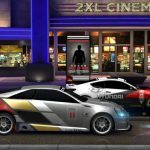 Despite the similarities with the games we mentioned above, there are also some differences that make 2XL Racing a unique title with an interesting gaming experience for iOS and Android device owners alike. So if you’ve just downloaded this game, and are presumably checking Street Wars out to get your feet wet, here’s our 2XL Racing strategy guide, written specifically with the newbie in mind. So let’s get to those tips, which may include some cheats that may help you along the way. The perfect start feature of this game is not as different as it is in others of its kind. Rev up your engine until you see a green light show up, usually above the 6,000-7,000-rev mark, and hit the “Go” button once the traffic light turns green. Sounds easy, especially if you’ve been playing similar racing games. But it isn’t as easy as it sounds, as we’ve observed hitting the “Go” button could be quite troublesome. Oftentimes, the game doesn’t register it when you tap on it normally, so you may need to bear down on it. It’s hard to recover against an opponent with a similar rating, so make sure you’re able to get a good start, and able to start your car properly once the light turns green. Fortunately, it’s much easier to make a perfect shift than it is to make a perfect start. Again, you should be shifting gears once the green light appears on the upper part of the odometer, which would count as a perfect shift. Usually, this is once your revs are at about 6,000 to 7,000, so once the race has begun, your focus should solely be on the odometer, and not on your opponent. The difference between a perfect shift and not-so-perfect one could mean the difference between victory and defeat! 3. When Should You Hit The Nitrous Button? You’ll definitely want to add some nitrous oxide to your car the moment you can afford it – this gives your car a temporary burst of speed lasting a couple of seconds, thus putting you in prime position to overtake or to increase your lead. But when should you activate this boost? 2XL Racing makes it easier for you by only giving you the option to activate your nitrous after you’ve shifted to second gear, so you’ll want to hit it the moment it becomes available, allowing you to make a quick shift to third. As you defeat more opponents in the game, you’ll unlock more territory for yourself, with other racers paying you tribute. The more drivers you beat, the faster the counter on the bottom of your screen would move, and that means more money coming in. At times, it may seem as if you aren’t earning tribute fast enough, but this adds up over time. You may want to leave the game for a couple hours or more, and return to the game with a good amount of tribute to collect and add to your cash total. This works especially well if you wake up after about eight hours of sleep (we presume), as that’s eight hours’ worth of accumulated tribute to collect! We don’t really look favorably upon rage-quitting if you’re facing human-controlled opponents, but in story mode, this makes for a nice cheat, er, workaround, if you’ve got zero chance of winning a race, or if the “Go” button failed to cooperate. You can quit a race before it’s finished and not lose any crew members in the process; you’ll lose one unit of gas, but at least your win-loss percentage isn’t affected, and neither are your crew members. Crew members are, like your gas, your “lives” in 2XL Racing, and if you run out of crew, you’ll have to wait it out quite a while before you can race again…unless you’re willing to pay gold for it. Also, there are some bugs and kinks that are worth pointing out. Chief among this is the unavailability of an option to watch ad videos. Yes, they appear on the upper right hand corner of the screen (the “free gold” button) or if you want to expedite one of your upgrades. But right now, they don’t work, so the best way to earn gold, which is the game’s currency, is to level up; you get two free gold pieces each time you level up in the game. In other racing games, you can race and crash as often as you want, and you’ll still see your car in one piece, working perfectly, once the race is over. In 2XL Racing, however, your car’s condition can depreciate over time, and you’ll need to spend some cash and wait several minutes before it’s back to 100 percent. We advise getting your car fixed while its condition is still at 90 percent – if you keep on racing, your ride will depreciate faster, and you’ll see its rating similarly erode, thus reducing your chances of winning races.